Media Room « Talkler. Email for your Ears. Boston, MA (January 2014) — All the basics in one place — for Media and Press. Convenient overview, background info, cited statistics, and key features. Jumpstart your piece with this authoritative reference. Boston, MA (Aug 5, 2013) — “Talkler – Email for your Ears” helps busy people who are drowning in email to stay productive and safe. This free smartphone app offers heads-up, voice-controlled, reads-aloud-to-you email on your mobile device, and connects with almost any email service. Simply say, “Hey, Talkler” to get the app’s attention, and then use your voice to breeze through emails, listen to messages and manage your inbox. Download free: www.talkler.com/get-the-app. Boston, MA (January 4, 2013)– Talkler Labs LLC (www.talkler.com) has announced the launch of “Talkler — Email for your Ears” – a free smartphone app that helps users climb out from under their daily avalanche of email. It offers heads-up, hands-off, voice-activated, reads-aloud-to-you email management that can be used by anyone, anywhere, anytime. The voice trigger “Hey Talkler” gets the app’s attention and gives the user access to more than 36 voice commands. Download the Complete eMedia Kit (7.2 MB .zip package) including publishable photos, Talkler Logo Image Bundle at various sizes and formats, Screenshot Images Bundle, the Latest Media Release and the Media Fact Sheet. “Innovative… Easy to navigate and operate. The developers have done an excellent job with Talkler’s speech. “Want your email read to you by your iPhone? “Awesome! [Custom voice speeds…] That’s big. 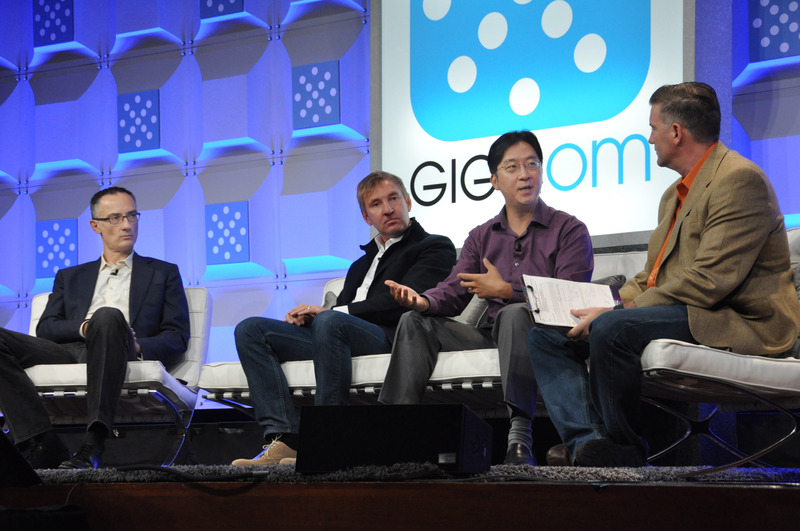 September 20, 2012, San Francisco — Dr. Yoon Kim, PhD, introduced Talkler to industry insiders at GigaOM’s Mobilize Event in San Francisco on September 20. Dr. Kim is the CEO of Novauris, the developer of state-of-the-industry speech recognition technology. Please contact Hallie Baron for a copy of our ePress Kit, to schedule an interview or appearance, or for a quick reply for any information on our new app. We also invite you to visit Facebook, and follow us on Twitter.